Our bodies naturally detox every day. Eliminating and neutralizing toxins through the colon, liver, kidneys, lungs, lymph, and skin are some of the body’s most basic functions. At Herbs Can Cleanse, together with our sister sites, we believe strongly in supporting our body’s natural detoxing abilities. Your kidneys are such an important part of this process! Your kidneys are bean-shaped organs about the size of your fist. Located near the middle of your back, just below your ribs, the kidneys are a sophisticated trash collector. Each and every day your kidneys process about 200 quarts of blood to sift out about 2 quarts of waste products and extra water. It’s quite miraculous, isn’t it? Would you like to support your kidneys in their important work? Start building a health lifestyle by including kidney supporting foods in your diet. For example, try skipping your morning coffee and start the day with a cup of hot, filtered water with a dash of fresh lemon juice! Take this about 10 to 15 minutes before breakfast will allow your system to flush away toxins. Grapes and blueberries both can help your kidneys and are delicious. Season your food with ginger and turmeric, which can help your kidneys release built up toxins. Snack on pumpkin seeds and enjoy some cranberry or blackcurrant juice for your afternoon pick-me-up. Barley and millet are grains that support your kidneys. Look for multigrain crackers or breads that include these grains. One of our favorite vendors, Pure Body Institute, provides an excellent formula to support your kidneys. Containing herbs and spices known to support healthy kidney function, by taking Kidney Rescue formula you enjoy the benefits of cinnamon bark, borage leaves, cedar leaves, damiana leaf, Lycci, and more! Visit us at http://cleansepurify.com/cp/shop/kidney-rescue/ and check out Kidney Rescue. Check our home page for your free shipping code (in effect for a limited time)! As we mentioned in our last blog, Pure Body Institute formulas are an important cornerstone in our product line. This is because of the care this company shows in all levels, from research and development through production. With a company like Pure Body Institute, you can be sure you’re getting safe, effective products! The importance of an internal cleanse shouldn’t be underestimated. If your eliminative channels are blocked or clogged, your body struggles to become free of waste and impurities. And we’re exposed to these impurities on a daily basis! What you eat and drink, and the air you breathe can all be sources of damaging impurities. These impurities build up over time and can cause such symptoms as constipation or diarrhea, poor skin, listlessness, and others. Pure Body Institute’s Whole Body Program coupled with their Colon Cleanse program can help your body release these impurities and the waste that accumulates in your eliminative channels. Sometimes called the Cadillac of herbal organ support formulas, these products are packed with herbs known to support your body. After following the regimen, people have noticed better skin, better regularity, more energy, and a more positive outlook on life. Please visit our website, http://cleansepurify.com/product-category/pure-body-institute/ and learn more about the Whole Body Program! After all, what better way to start the new year than with a cleanse? We spend a lot of time and money cleansing our skin, and our family of sites carries many high-quality products for that purpose. We also spend a lot to purify our skin. To cleanse means to make thoroughly clean. You might wash with special soaps, for example. And to purify means remove contaminants. Certain soaps are useful for this, as are special brushes developed to help remove dead skin and other contaminants. Your skin (and, therefore, you) feel so much better once you are Cleansed and Purified! And that’s why we use these words as a name for one of our sites! But, have you thought about cleansing and purifying the rest of your body? We know that “we are what we eat,” meaning that what you ingest fuels your body for the day’s activities and also fuels your body to create new cells, whether they are skin or blood or bone! So, the food we eat, the water we drink, and the air we breathe all can be sources of nourishment and contamination! One of our favorite vendors, Pure Body Institute, carries these words on their labels. Pure Body Institute products were what inspired us to launch our online business and were the first products we carried. So, if you (like most of us) lead high-paced lives, torn between taking care of the children and getting them off to school and making it to our jobs so we can pay the bills, you end up making food and drink choices that may be less than optimal. If you ever find yourself drinking too much coffee, stopping for fast food instead of a more nutritious choice, or not getting enough rest, your insides may need cleansing and purifying as well! Visit our dedicated page for Pure Body Institute Products and CleansePurify.com (http://cleansepurify.com/product-category/pure-body-institute/ ) and see what we offer! We have products for a whole body cleanse, a combined whole body and colon cleanse, and a variety of supportive products for your ongoing health. Start the new year with a body that is clean and free of contaminants! Manmade foods do not grow; they are created in a lab by a food technician. They may be labeled organic, raw, whole, natural, all natural, nutrient rich or some other variation, yet none of the former is true, it is just an attention catching name. What food technicians make with their chemicals are something that if they could walk would be food Frankenstein’s. Whenever we eat junk food we are eating at least the popular preservative salt. Preservative are unique as they minerals or processed particles like oils and vinegars that dehydrate whatever they touch causing it to die / denature. All dehydrating agents pickle or preserve the target they are acting on mummifying it. Now imagine that they do the same thing to your cells. It may not be very hard to imagine as preservatives do exactly that and form what is commonly called cancer. That which is dead decomposes, yet junk foods and processed foods do not as they are laden with preservative that retard decay on the shelf and create tumors in our body. How dangerous are preservatives? Salt is our most toxic common and therefore toxic preservative. It is why being stranded at sea and drinking sea water is fatal? It is because sea water is 8.5 on the pH scale and salt water, with is like drinking Epsom Salts which causes a cathartic effect on the body. Salt causes the bowels to release and the cells to retain water leaving it unusable to the body. This state when it becomes chronic means that death is hours from being realized unless brought under control rapidly. Preservatives in all forms are deadly to human life and must be avoided. Preservatives have such a tumultuous effect on the body, once ingested, the immune system works overtime to remove them. If used sparingly and infrequently, use of salt in volume replaces the need for medications, yet in volume used regularly, they create the problem or illness. Every day, your kidneys process about 200 quarts of blood! Their main job is to sift out waste products, but they also perform a few other important functions. These bean-shaped organs, each only about the size of your fist, are located near the middle of your back just below the rib cage. You can think of them as very sophisticated trash collectors! As the kidneys process those 200 quarts of blood, they are removing waste and extra water. Waste in your blood comes from normal breakdown of active muscle and from your diet. Your body uses as much of the food as it can for energy and self-repair. After your body has taken what it needs, waste goes into your blood. If your kidneys do not remove this waste, it builds up over time, leading to damage in our body. As waste and extra water are removed, the kidneys produce urine, which then passes to the bladder and out of your body. The removal of extra water helps maintain proper fluid balance. Proper fluid balance, together with the hormones that the kidney produces help regulate blood pressure as the kidneys need proper pressure to function normally. But, the kidneys also activate the inactive Vitamin D in your blood so that it can stimulate the uptake of calcium from food and maintain health bones. Without health kidneys, your body would have trouble producing red blood cells. These little soldiers give you the energy you need for daily activities. Your kidneys produce a hormone called erythropoietin, which tells your bone marrow to make red blood cells. What would we do without healthy kidneys? Fortunately, we don’t have to find out. Herbs Can Cleanse carries Pure Body Institute’s Kidney Rescue Formula. This formula contains a number of herbs used over the centuries to support kidney function. These herbs all work together to improve kidney function and help with all the symptoms caused by clogged and tired kidneys. Visit our product page to learn more! One of our best-selling product lines is the high quality supplements from Jarrow Formulas. We’re proud to carry these helpful supplements! Jarrow Formulas, based in Los Angeles, CA, was founded in 1977 and incorporated in 1988. Today, it is a respected world-wide provider of superior nutritional supplements! We’re always impressed with their cutting edge formulations. In fact, that’s one of the premier focuses of the company’s Mission Statement! 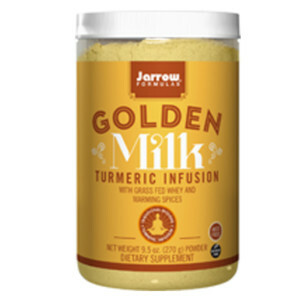 A recent addition to our product line is the Jarrow Formulas easy-to-use adaptation of the classic Ayurvedic recipe for Golden Milk! There’s been a lot of buzz lately about this remedy. There are many different recipes for this traditional drink, and it has been used for centuries throughout India. This concoction is a delicious drink that contains spices known to fight various body problems in a base of coconut milk and virgin coconut oil. Turmeric is a main ingredient in Golden Milk, giving it the rich color it is named for! Turmeric relieves inflammation, builds immunity, relieves coughs and colds, enhances digestion, and supports the liver. It also purifies the blood and helps to clarify your skin. Surprisingly, one of the more popular uses for this drink is to reduce arthritic pain! Jarrow Formulas dry mix for this amazing drink includes organic turmeric, grass fed whey (providing branched-chain amino acids), warming spaces with natural French vanilla, cinnamon, organic ginger root, and black pepper. To enjoy the benefits, simply mix 1 heaping scoop with four to six ounces of hot water, warm milk (cow, goat, almond, or your favorite) and drink! Today, we continue our series of plant based meal ideas! Changing the balance of the foods you eat (even if you don’t leave problem foods out completely) can be an important step towards ensuring you and your family have the nutrition they need to lead healthy, long lives! So, try several new plant based meals each week! At lunch, most of us are on the go. We like things that require minimal preparation, or that can be prepared in advance and easily held. Today’s menu ideas give you plenty to work with! Our first lunch idea contains two plant based diet staples – chickpeas and quinoa! Both are nutritional powerhouses, and pack enough of what you need to see you through the afternoon. 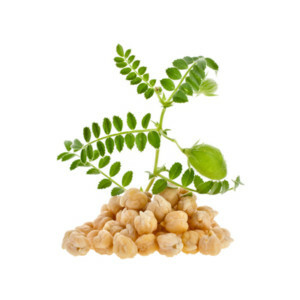 A one cup serving of chickpeas contains 12.5 grams of dietary fiber (helps lower cholesterol and protect against type two diabetes, among other benefits) and 14.5 grams of protein (provides sustainable energy and helps build strong bones and body) and 268 calories. Quinoa provides 5.2 grams of dietary fiber and 8 grams of protein. Unlike many grains, quinoa provides all the essential amino acids your body requires, making it a complete protein! For lunch, try this easy, make-ahead hearty salad. You’ll need 3 cups cooked quinoa, chilled (cook in broth for added flavor), 2 cups cooked, drained chickpeas (canned are easy and good), 2/3 cup chopped kale (without stems, packed), ? cup chopped bell pepper (use both red and green for pleasing color), and ? cup chopped green onion. Toss all ingredients together with a dressing of your choice (try just sesame oil and citrus juice). Stores well overnight in the refrigerator. Or, on a cold, damp day, try this warming Chickpea Curry Soup! You’ll need olive oil, ? chopped onion, minced garlic, a can of chickpeas, curry powder, red pepper flakes (optional), 2 cups broth, 2/3 cup coconut cream and some lime juice. In a saucepan, heat about a tablespoon of olive oil (or other healthy fat). Saute onion and garlic. Add chickpeas, curry powder, and pepper flakes (if desired) and cook for about five minutes. Add broth and simmer for 5-10 minutes, then puree and stir in coconut cream. If it’s too thick, thin with a bit of water. Stir in juice from half a lime. Serve garnished with a drizzle of the coconut cream, freshly ground black pepper, and pumpkinseeds. This can be made ahead for several meals. Cleanse Purify is dedicated to your health! 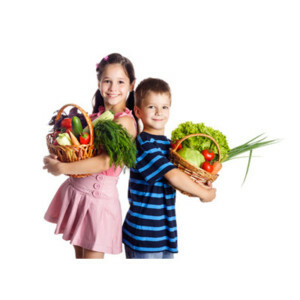 Watch our site for great health products and other blogs about a range of health related subjects! There is an old saying that suggests we eat breakfast like a king, lunch like a prince, and supper like a pauper. What I take away from this saying is that, just like Mom used to say… Breakfast is the most important meal of the day! Our bodies need protein for sustainable energy, building muscles, etc. to get us through our busy day. Healthy carbohydrates help us with quicker energy. And health fats help may improve blood cholesterol levels, lower your risk of heart disease, and benefit insulin levels and blood sugar. Omega-3 fats are particularly beneficial for your brain and mood. Building a plant based breakfast that includes all of these is easy! Let’s start our day with chia seeds! These nutrient dense super seeds pack a powerful punch. Aztec & Mayan warriors ate chia seeds to give them high energy and endurance. In fact, chia means “strength” in Maya. And, although we’re not fighting the same battles as the Aztecs, we still need strength and endurance to meet our goals. 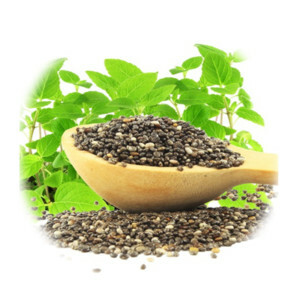 But chia seeds also promote healthy skin, reduce signs of aging, and support healthy heart muscle and digestion. You can count on chia seeds for fiber, protein, an array of health fats, and trace minerals! Using chia seeds in your diet is easier than some other seeds. Unlike flax seeds, you don’t need to grind chia seeds to access their nutrition. Soaking them in an approximate 1:10 ratio (that’s about one and half tablespoons of chia seeds in one cup of water, soaked for 30 minutes up to two hours) will help them be easier to digest and also aid your body in absorbing all the nutrition these seeds provide! But, you can also sprinkle them on your oatmeal or in your regular smoothie and know that you’re adding nutritional benefit to your meal or snack. One of the easiest ways to enjoy chia seeds is to make a “pudding” with them. A basic recipe calls for half cup of chia seeds, stirred into two cups of almond milk with 2 tablespoons agave nectar and a pinch of salt. Then, you can add vanilla extract and spices for additional flavor. Store covered in your refrigerator at least two hours or over night. Stir before serving, and top with fresh fruit and toasted almonds if you’d like. Don’t let the sweet flavor and wonderful texture fool you… This is a nutritious breakfast! For breakfast on the go, you could try a peach-spinach chia smoothie! Try one and a half cups frozen peaches, one cup apple juice, half a cup water, two tablespoons chia seeds, and one and a half cups baby spinach leaves in your blender. Puree until smooth (about a minute) and serve immediately. Delicious, and full of health! Cleanse Purify is dedicated to helping you lead a healthy life! Contact us for your free Plant Based Meal Recipe Guide. Before 1900 Viruses were seldom spoken of yet parasites and their activities were very well documented. Before 1900 the Kellogg’s, Fords, Rockefellers, Macy’s, Carnegie’s and other were not investors in Healthcare. In 1910 that all changed with the release of the Flexner report which gutted traditional medicine. What replaced it was the theory laden, drug pushing and new diagnosis rich world of Modern Medicine. What had been small private business became a juggernaut of unspeakable power and endless greed. Big Medicine often called Modern Medicine or Allopathic Medicine is a cornucopia of specialties and a disconnection from what one expert does from another. This is a scary proposition because all the players can diagnose and all can prescribe drugs for their niche. Drugs do not recognize niches. They circulate from head to toe and affect our body as equally. We can pretend that one body system or one drug does not affect another or that the body is like a series of local stevedores, but that is not true. All of our systems are connected. An attack on our scalp reaches our feet. Is that really so hard to imagine? Ebola was defeated in the cyber space of social media. The CDC is as disjointed as Modern Medicine is. Zika is a harmless as Ebola was. What is real is the effect of Alcohol on the unborn. Fetal Alcohol Syndrome is known. Yet, to admit it is behind what is called Zika, gives a black eye to Big Alcohol. Those with big deep pockets, who buy lots of advertising don’t like black eyes. Imagine that the word got out that alcohol use harmed fetuses, zygotes and embryos. What do you think that might do to alcohol sales. Think of what might happen to alcohol sales if mothers with deformed babies sued. Imagine what might happen to Big Alcohol if, a majority of logical people realized that they were being deformed and maimed internally with every beer or glass of wine. Just imagine. Expansion, contraction and death are the way of all life. We are told life is very complicated, yet, its simplicity is mind numbing once we peel off the confusions. Again, we are either going out, coming in or are at the end of life where we find death. The answer to which direction we are going or what junction we are at is determined by factors that do not need an outside or medical test. Do you need a test to prove that you blink your eyes? Of course you don’t as we can observe, and via simple observation and we know all we need to, to determine our health one way or the other. Life was not complicated when we didn’t have experts who made it their business to make it seem confusing. You have read about 140 words so far that may seem perplexing. Yet, what I am saying is that life needs no explaining. It needs to be fed and paid attention to. Those trying to explain life are trying to sell you something. What they are selling you is a reality that says you are not in control and none of your action and habits carry any consequence. If any of that were true, it would be the cellular expression of flying a plane at 30,000 feet, then jumping out of without a parachute, and expecting not to die upon landing. Why are pain-blocking meds so dangerous? Because they, like any drug, suppress our sensations and sensations are how we experience the world. The world of Big Medicine is consolidating or contracting because it is dying, because or 100’s of thousands like you who are learning the truth that they in fact do control their life and health. Big Junk Food is also contracting as it is also going out of business for the same reason. You are changing because your mind is changing and that is changing how you approach living. You are being lied to less and less so therefore you are living more. The sedated chase sedation as they “think” they need it. Believing fewer lies we’re living more and with less pain. Again, the sedated chase sedation to stay sedated. The living, live without toxins, drugs or junk food and that personal determination / choice is killing Big Business.